Me on the Tomb of Cyrus the Great. When we visited this monument I was surprised by the complete lack of security. You could climb on the monument, or haul away parts of it if you were so inclined. 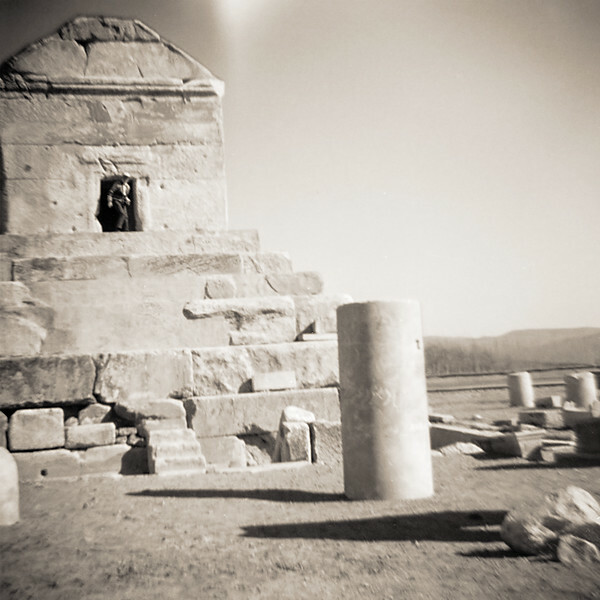 Such utter indifference to the tomb of a major historical figure like Cyrus the Great stuck me as strange. It wasn’t until many years later that I understood this neglect. Southern Iran is majority Muslim and sadly Islam has a long history of neglecting, vandalizing, and destroying the remains of pre-Islamic civilizations. The Taliban’s demolition of ancient Buddha’s in Afghanistan is not uncommon. Recently ISIS has been bulldozing and blowing up Roman ruins in Syria and parts of Iraq. How two thousand-year-old rocks is a threat to modern people is not entirely clear but constant calls to purge all traces of an “idolatrous” past is not. Hell, deranged mullahs are still calling for the destruction of the Pyramids. The impulse to wipe history is not confined to aggrieved Muslims. The first emperor of China is still reviled for attempting to burn all books that predated him and of course, we have our own vandals busy tearing down monument’s in the US right now. Enough people are scum, there’s just no getting around it!